Dr. Abhay Bang grew up in the Sevagram Ashram of Mahatma Gandhi. He was inspired by the social ideals and trained in India (MD) and at the Johns Hopkins School of Public Health (MPH). At the University he won 3 Gold Medals. Twenty-six years ago, Dr. Bang and his wife Dr. Rani Bang founded the voluntary organization SEARCH (Society for Education, Action and Research in Community Health) in one of the most underdeveloped districts, Gadchiroli, in the state of Maharashtra in India. There, they have been working with people in 150 villages to provide community-based health care and conduct research. They have developed a village health care program that is now a nationally and internationally famous model. It has influenced the health policy in India and globally at least thrice: rural women have a large hidden burden of gynecological diseases; the pneumonia in children can be managed in villages; and, newborn care can be delivered in villages. Their work has reduced the infant mortality rate to 30 in this area. This approach, called the ‘Home-based newborn care’ has been replicated in several countries, has become a national policy in India, and has resulted in creating global guidelines (WHO/UNICEF – 2009). Dr’s. 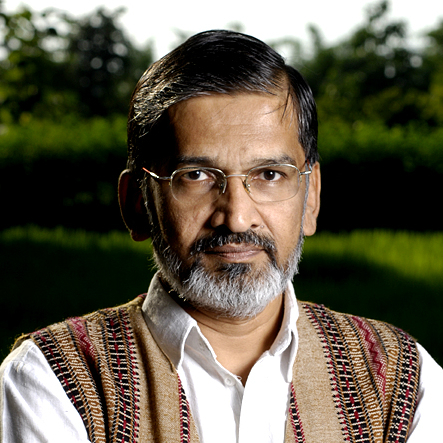 Bang established the now famous community health care and research center, ‘Shodhagram,’ in tribal areas; studied the problem of hidden child mortality in Maharashtra and subsequently launched a programme – Ankur – to reduce child mortality in the State; and led a campaign against alcohol, which led to introduction of prohibition in Gadchiroli district, and influenced the State policy. Recently, Dr. Bang led a series of studies on tobacco consumption in Gadchiroli, and how to control it in women and children. He has written 2 books of which the one on his own heart disease is extremely popular in Maharashtra. It has received the State literary award. He was a member of the High Level Expert Group to design Universal Health Coverage for India (2010-12), of the National Commission on Population, and of The National Commission on Macro-economics and Health. He is a member of the Mission Steering Group, of the National Rural Health Mission, Govt. of India, and of the National ASHA Mentoring Group, and several national and international committees. He is a member of the Audit Advisory Board of the CAG, India. He is a member of the High Level Committee on Tribal People in India, appointed by the Prime Ministers Office. He and Rani were honored with the highest honor of the state government, ‘Maharashtra Bhushan.’ TIME magazine selected him and Rani as the `Global Health Heros’ (2005). Academic positions include Adjunct Professor, Global Health, Rollins School of Public Health, Emory University, Atlanta (2007- 2013) and Adjunct and Visiting Faculty, Indian Institute of Public Health, Delhi. Dr. Bang and his organization have received more than 50 awards.